Brighten up with lights and beer! 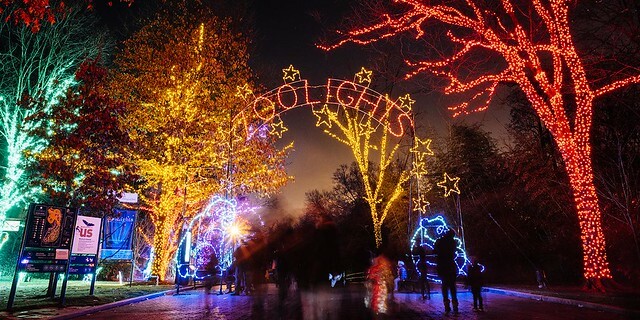 Winter is almost here, but you can still enjoy being outside with the annual ZooLights at the National Zoo. Starting November 23rd (until January 1st), you can visit the Zoo any day (except December 24, 25 and 31) and find over 500,000 LED lights, light shows, live music, winter-themed food and more. It’s free to witness the ZooLights, but food and drink costs extra. You can also skip the Hot Toddy’s for one day at least, and try BrewLights on Thursday, November 29th, a craft beer event with tastings from dozens of breweries with free snacks to boot. Tickets are $60 (or $50 for FONZ members). Proceeds go to support the Zoo’s work on animal care and preservation. Get your BrewLights tickets here.